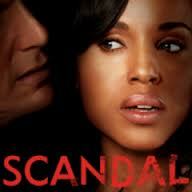 Why Are So Many Women Excited About Scandal? Most, if not all women absolutely despise infidelity and cheating. That being said, why are so many glued to their television on Thursday nights watching ABC’s Scandal? The show follows Olivia Pope, played by Kerry Washington, and her associates who are all lawyers but none actually practice law, they work at a Crisis Management Firm created by Pope protecting the images of high-profile clients ensuring that their secrets remain private. And the major “secret” is that heroine Olivia Pope who is the former Communications Director for the President is/was having an affair with the commander-in-chief. The Olivia Pope character is loosely based on former President George Bush administration press aide, Judy Smith who is a co-executive producer for the show. I wonder, do women love Olivia Pope because somewhere deep down inside they can somehow relate to her? Or better yet, do they want to be Olivia Pope? You have a beautiful, successful woman, who appears to have it all as far as her career is concerned. She however, has romantic ties to a powerful leader and appears to have an enormous amount of control over the affair. Are women excited to finally see a woman enthralled in an affair and appear to not be emotionally overcome by it? Are women vicariously living through Olivia Pope? Things that make you go ummmm. I am not one to jump on the band wagon of the latest fad or it thing, but I must admit after hearing so much about the show and week after week reading the many posts in my Facebook timeline about the happenings of the week I must admit that I caved in to the pressure and started watching Season 1 of Scandal on my Netflix. Like many before me, I was hooked after the first episode. I’m trying to finish watching episodes on Netflix to get a good understanding of the plot before jumping on the weekly Scandal bandwagon – I therefore stay off of Facebook on Thursday evenings to avoid any spoilers. The show has faced some criticism, ranging from what exactly is the show about to the plot being the same type of cliché’s that creator Shonda Rhimes is well known for in shows like Grey’s Anatomy and Private Practice. I personally think that Shonda Rhimes is a brilliant writer. She obviously knows how to bring in the ratings and awards. In addition to Grey’s Anatomy and its spin-off Private Practice, she has worked on projects such as HBO’s Introducing Dorothy Dandridge that garnered lead actress Halle Berry numerous awards and Crossroads a movie featuring Britney Spears that grossed over $60 million; and her Grey’s Anatomy anchors the coveted Thursday night time slot for ABC.